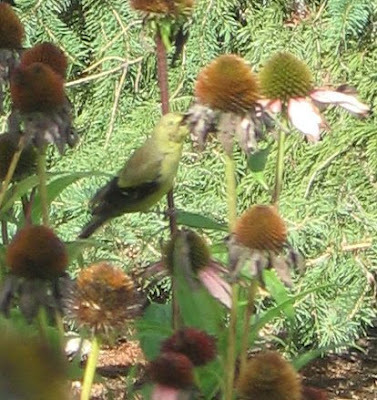 The coneflower patch attracts birds. Yesterday morning I noticed a yellow bird and grabbed the camera. 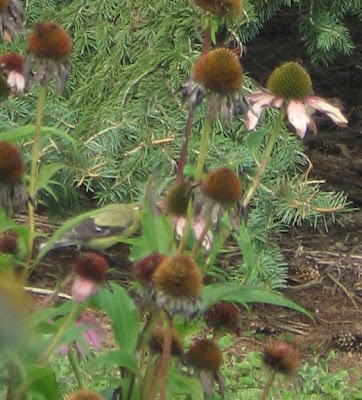 I think this green bird is a finch. The yellow bird took off. This is a running journal of thoughts and photos of special people and things in my daily life. Click on the pics to enlarge the view. The pics were taken digitally and most will enlarge for a better view if you click or double click on them.